Employers would have to provide up to ten days paid leave for victims of domestic violence, under plans announced by Labour on Saturday. 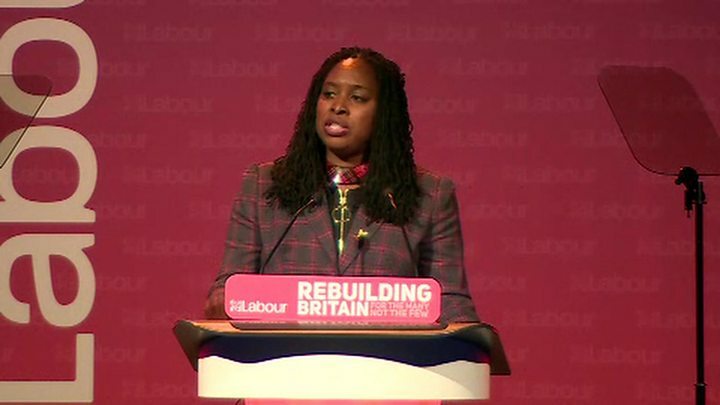 Shadow equalities minister Dawn Butler unveiled the policy at the party's Women's Conference in Liverpool. The proposals aim to give victims time to leave abusive partners safely and seek support. Ms Butler said the policy would save lives and tackle the "hidden killer" of domestic abuse. Speaking ahead of the launch of Labour's annual conference on Sunday, Ms Butler told the conference employers had a "duty of care" to employees experiencing domestic abuse. "This crucial time will allow women and men to leave their abusive partners safely - get the help, protection and support they need knowing their livelihood is secure. "On average two women a week are murdered by their current or former abusive partner. These 10 days could literally help save the lives of those women." Similar laws have already been introduced in the Philippines, Australia and New Zealand, she added. Ms Butler also announced plans to set up a new department for Women and Equalities, as part of Labour's pledge to "put equality centre stage". "So far we have seen seven different ministers for equality tagged on to four different departments and a budget that's nearly been halved," she told the conference. "This proves the Tories are not taking equalities seriously. By establishing a Department for Women and Equalities, Labour will ensure equalities is the common thread running through its government"
The annual Labour conference - staged under the slogan "Rebuilding Britain, for the many, not the few" - will start on Sunday, and close on Wednesday with a major speech by Mr Corbyn. The stage is set for fierce debates about Brexit and the future of the party at the Liverpool gathering. Lively debates -yes even divisions - are expected at this year's gathering. Labour's NEC meets tonight to hammer out new leadership rules that are likely to see the influence of MPs watered down in favour of more say for members and the unions. And tomorrow behind the scenes there will be wrangles over how to boil down 125 Brexit motions to just two or three - with some members wanting to push the leadership further than it wants to go in calling for a new referendum on the EU. But it's often the unanticipated divisions that can cause the bigger problem. Dawn Butler not only praised the 1980s Militant-led Liverpool council in her speech to the women's conference today - but she also suggested it was better to break the law than break the poor. Some in the party are furious that she has gifted the Conservatives a weapon of attack. Party policy is for councillors to set legal budgets - but Labour's opponents can now question its sincerity.